It’s no secret our population is getting older. Projections by the Institute for Health Metrics and Evaluation indicate that by 2030, global female life expectancy will be 85.3 years and male life expectancy will be 78.1 years. This means more assisted living and nursing home facilities will be needed to properly care for our seniors. All assisted care, nursing homes, and medical facilities must meet the backup/emergency power codes of NFPA 110 and NEC 700, ensuring essential electrical systems must be able to supply enough light and power for life safety in the event that normal electrical service is interrupted. In addition, there may be state and local Authorities Having Jurisdiction (AHJ) requirements that address resident safety, zoning, noise, and other requirements that have to be addressed. As a result, many assisted living facilities are upgrading their on-site generator units to ensure residents are not only safe, but comfortable during harsh weather or potential grid failures. 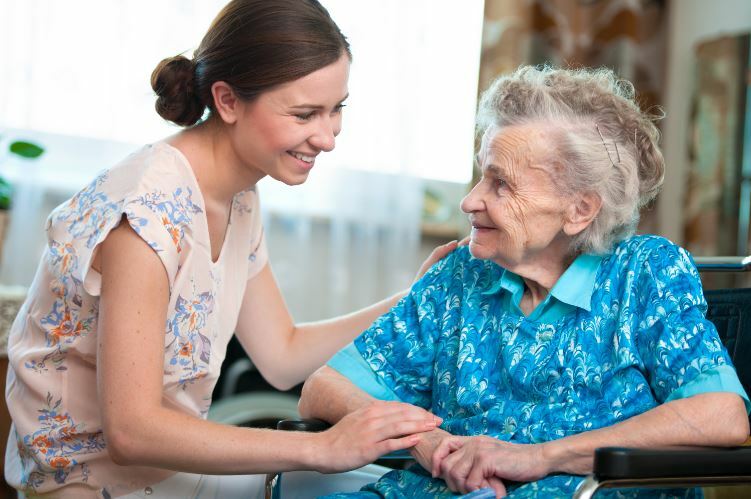 On-site generation is also becoming a key selling point for assisted living centers as many families want to ensure their loved ones receive the best care. Many health care groups purchase existing assisted care facilities to expand services in different cities. Many times, these tend to be older buildings that require upgrades for health and aesthetic purposes. potential growth opportunities, so generator sizing can be addressed. “Frankly we see a lot of odd issues when we first evaluate an older building such as oversized units with 3000 amps being fed into a 200 kW generator, conduits buried in concrete, and annunciators that are not located near nursing stations or other areas to meet monitoring requirements,” said Keith Findley, Power Solutions Manager, EVAPAR, a Generac Industrial Power distributor. “In addition, we still find that essential life/safety equipment and non-essential lighting and comfort systems are on the same circuit, which is no longer acceptable—those systems must be separated to meet code,” he noted. An assisted care facility in Indiana, part of a large consortium of care facilities, had some unique challenges as it upgraded an assisted living center to better serve the residents. “When we performed the initial evaluation, we determined the service feeders coming into the building were single phase 208 volts and three phase 480 volts, so it made sense to provide two different diesel generators–350kW and 500kW—along with the appropriate transformers,” said Findley. The two units are not paralleled at this facility, although Generac’s innovative Modular Power System (MPS) can provide the needed kWs to address comfort systems along with the benefits of redundancy, scalability, and safety, through integrated paralleling. “We selected diesel for the fuel as the staff was familiar with the products, fuel prices tend to be constant, and the Generac diesel gensets are tough and reliable. They also meet the requirements for on-site fuel storage and local AHJs tend to have more experience with diesel generators, although natural gas is gaining acceptance as on-site fuel,” he said. With respect to sizing, EVAPAR evaluates overall electrical usage at the facility and sizes up at least 25 percent to ensure all key medical equipment, lighting, and essential systems can be powered in an emergency. “We have also found that many facilities are sizing up to ensure non-essential systems such as refrigerators, stoves, air conditioning, and more, can be served by on-site generation,” said Findley. With strict enforcement of the air emissions regulations, diesel powered generators do require extra care and regular fuel polishing. Distributors train the maintenance staff at the facility to perform the weekly generator runs and log the results to ensure compliance. Many of Generac’s Industrial Distributors also offer programs to assist with annual fuel testing and polishing as needed. “With so much on the line, it’s vital assisted living centers work with experts who understand the current and future needs, the rules and regulations, and can then design practical on-site generation solutions that keep the residents the top priority,” said Findley. For more information on power generation for senior living facilities, contact South Shore Generator in Wareham, MA.